​In early 1939, WAITSTILL and MARTHA SHARP, a Unitarian minister and social worker from Wellesley, Massachusetts, left their children behind in the care of their parish and boldly committed to multiple life-threatening missions in Prague and Southern France. They helped to save hundreds of imperiled political dissidents, children and Jewish refugees fleeing Nazi persecution across Europe. The SHARP RESCUER PRIZE seeks to promote humanitarian work in the example of Martha and Waitstill Sharp and to empower rescuers today who offer safety, hope, and opportunity to refugees. This social justice award is given annually in honor of the Sharps' immense sacrifice and commitment to justice and compassion. ​“Many literally escaped death. 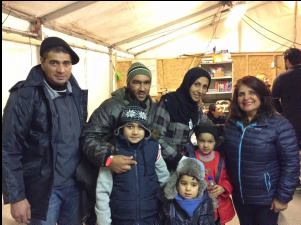 It goes without saying that we will help them and take in people who seek refuge with us." I am proud to announce the winner of the 2018 Sharp Rescuer Prize, Angela Merkel, for her bold and compassionate leadership in supporting refugees. Merkel, with the courage to face history, has alleviated suffering and educated a new generation of Germans who care for the world. Merkel's empathetic leadership is a model for all of Europe and the world. The Sharp Rescuer Prize, representing the family of Martha and Waitstill Sharp, profoundly thanks you and your citizens for welcoming over two million refugees and providing a moral voice to the greatest refugee crisis since 1945. There is much more to do to address this crisis, but for this moment, please accept our gratitude. 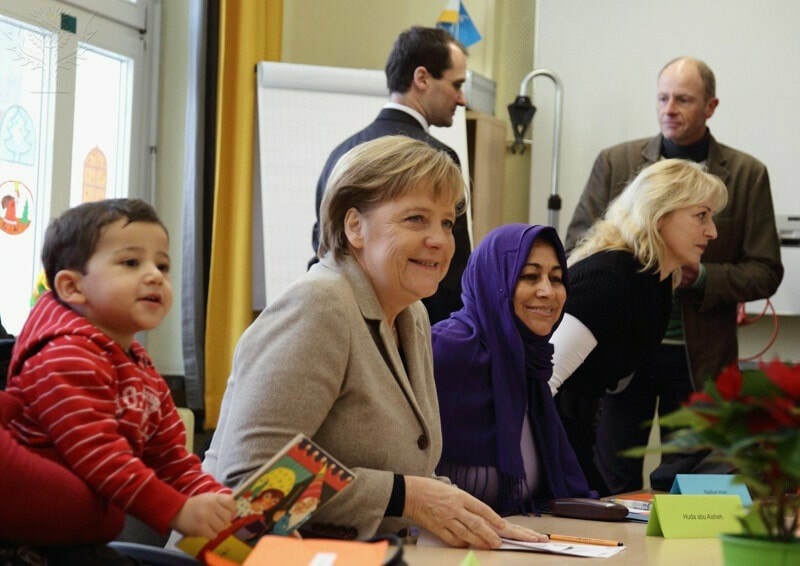 Photos: Merkel Visits Integration Projects and Sophie Scholl School. Photography. Britannica ImageQuest, Encyclopædia Britannica, 25 May 2016. ​The Joukowsky Family Foundation is pleased to announce the recipients of the 2017 Sharp Rescuer Prize. ​Marc Jacobs, Lucia Panichella, and Edward & Barbara Shapiro are honored for their tireless work supporting Syrian refugees through the Jewish Family Service Syrian Refugee Humanitarian Project. The project is a coalition across eastern Massachusetts that includes synagogues, Islamic centers, academia, Combined Jewish Philanthropies, HIAS, and the medical community to provide safety, hope and opportunity to Syrian war refugees. These are stories of young children, victims of war, who have experienced great hardship after fleeing for their lives to Jordan, Egypt and Turkey. The work of the Sharp Prize recipients exemplifies the value that each individual can step forward and transform, and even save a life. 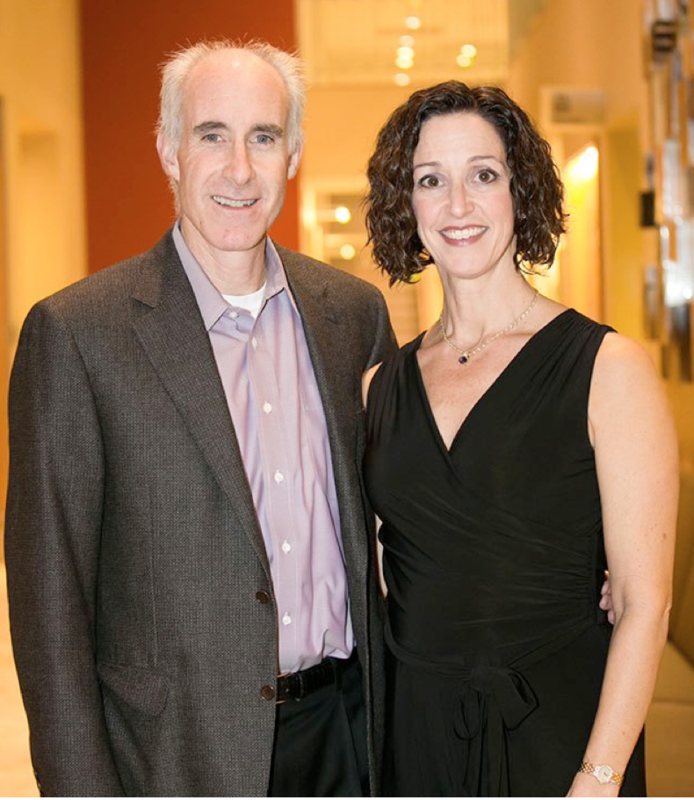 ​​Ed and Barbara Shapiro are generous community leaders and strategic partners to Marc Jacobs and Lucia Carballo Panichella in all aspects of the development and implementation of the Jewish Family Service Syrian Refugee Humanitarian Project. They are tireless volunteers. No task is too small or any challenge too big. 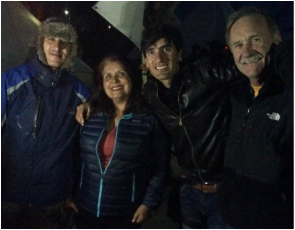 Some of the arriving Syrian refugee families first know Ed and Barbara, as the guy helping carry their luggage, and the lady bringing a giant smile and warm embrace. Ed and Barbara’s children, Josh and Samantha, are also active volunteers in the project. 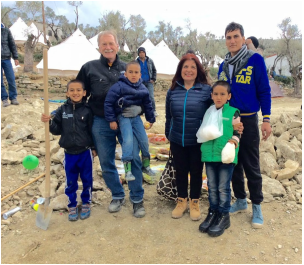 In addition to the JFS Syrian Refugee Humanitarian Project, the Shapiros are actively involved in global health and refugee resettlement, working closely with organizations such as Partners in Health, UNICEF, HIAS among others. 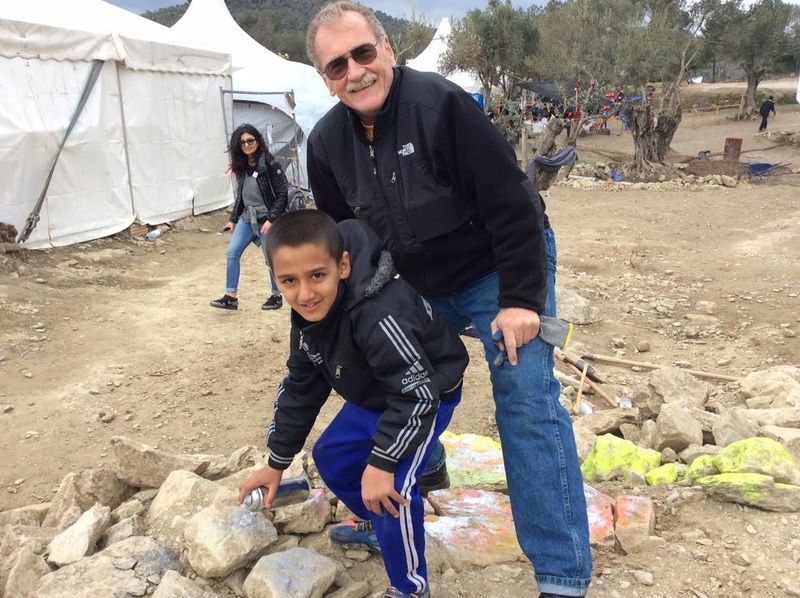 Ed has been to Lesvos, Greece to Africa to Jordan making first hand observations and then making strategic philanthropic investments in programs, hospitals and people that aid refugees and those with medical needs. Ed and Barbara serve on a number of community boards and Ed also on corporate boards of Directors. 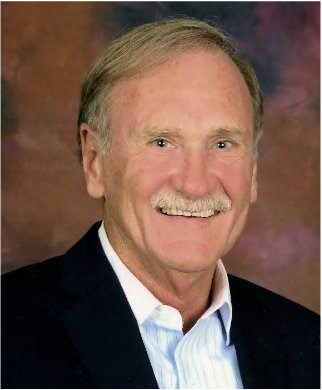 Ed was managing partner of a financial management firm, recently retired to devote his time to charitable efforts. The Shapiros, as well as Lucia and Marc live and work close by to where the Sharps story began in Massachusetts and are proud to be honored in their name. ​Marc Jacobs is the Chief Executive Officer of Jewish Family Service of Metrowest (JFS). Under his leadership the JFS array of services has multiplied, constantly responding to changing community needs and working to Stand Up for Those Left Behind. There are deep partnerships with Combined Jewish Philanthropies and numerous community foundations based on the fact that JFS always delivers the very best services and outcomes, and in an efficient manner. The current JFS Syrian Refugee Humanitarian Project is a large and diverse coalition creating new lives and possibilities, especially for young children, the innocent victims of that horrific war. Marc and his organization have been thought and best practices leaders in areas ranging from refugees and immigrants, to elders managing the challenges of aging to issues of poverty in both the Jewish and broader community. Marc recently received the 2017 William James College Mental Health Humanitarian Award. Prior to joining JFS, Marc built his career in organizations serving youth and families at risk. He is widely published in the areas of youth development, life skills education with adolescents, and foster parent training. Lucia Carballo Panichella is Director of Immigrant Services at Jewish Family Service and is the project leader for the JFS Syrian Refugee Humanitarian Project. Lucia is leading the full operations teams of staff and volunteers. 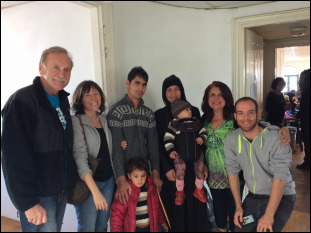 There are over 250 volunteers across multiple synagogues, Islamic Centers, Syrian American organizations and JFS itself involved in the overall project with several dozen directly involved with the lives of the Syrian Refugee families. All aspects of creating the various pathways to stabilization and success fall under Lucia’s capable leadership. And each and every parent, child and volunteer have direct ties to Lucia. Housing, employment, English language acquisition, pre-school and early literacy, friendship development, and of course entry and success in schools are all part of the parents and young children’s concrete daily living and acculturation needs. Lucia has built the professional teams and the ongoing relationships to coalition members and community resources that are all wrapped around creating opportunities and choices for the Syrian refugee families. Lucia’s kindness with professionalism, are experienced by all. She handles problems with incredible calmness. She inspires staff and volunteers alike. In sum, she is a great social worker, and an even greater human being. These are worrisome times. Refugees and Immigrants are in harm’s way. JFS is leading the JFS Syrian Refugee Humanitarian Project. This humanitarian project is a coalition across eastern Massachusetts that includes Synagogues, Islamic Centers, Academia, Combined Jewish Philanthropies and the Medical community to provide safety, hope and opportunity to Syrian war refugees. These are stories of young children; these families are victims of war and have experienced great hardship after fleeing for their lives to Jordan, Egypt and and Turkey. Its work embodies the values that each individual can step forward and transform, even save a life. ​In addition, JFS work goes deep with many other other immigrant children and families as well as with frail elders who are managing the latter stages of live, trying to remain independent in the community. Read the JFS Annual Report. 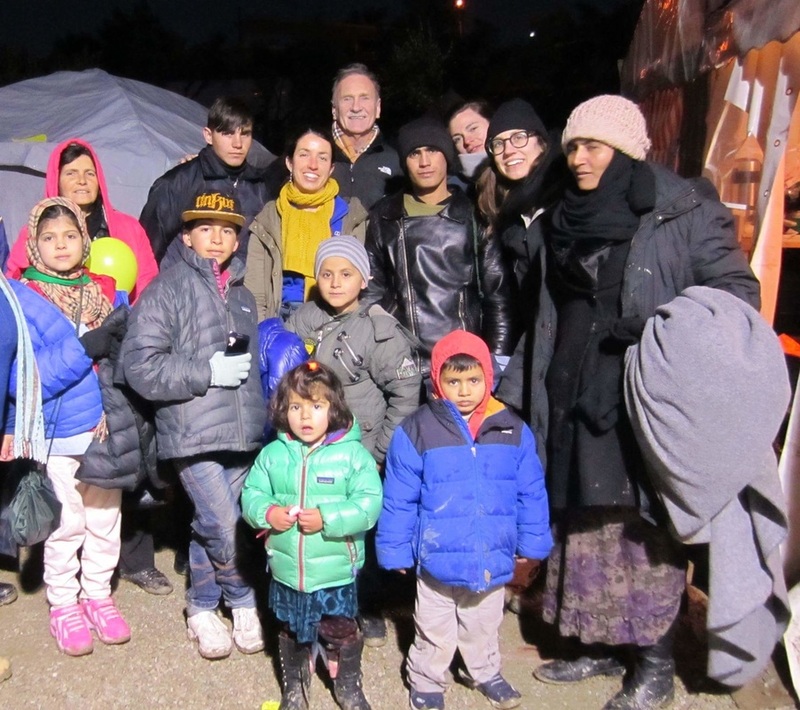 In April 2016, the Joukowsky Family Foundation announced its second award to Team Woodhouse, who traveled to Lesvos, Greece to support over 1000 refugees. 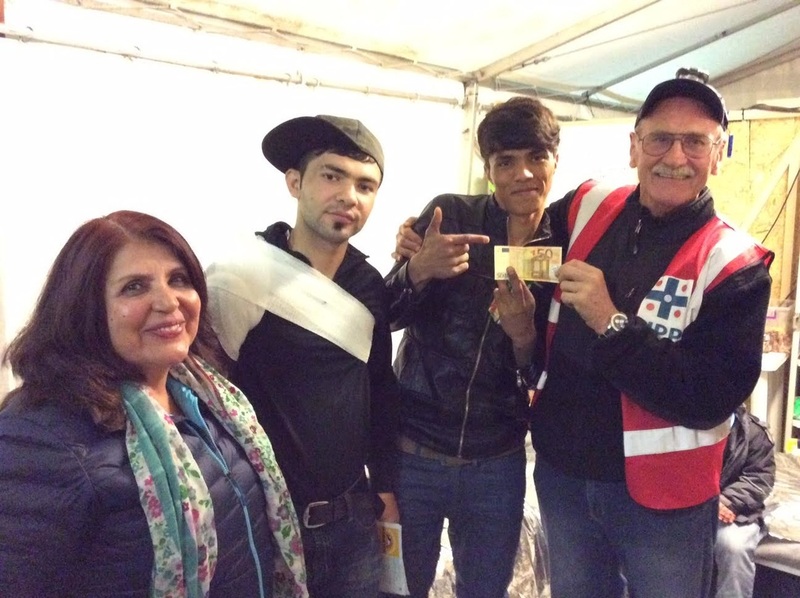 In 35 days the Woodhouse family raised over $25,000 for direct aid for refugees fleeing civil war in Syria. Latifa Yusufi Woodhouse was born in Kandahar, Afghanistan, the daughter of an Imam, the eldest of 12 children, and the first-and only-woman from Kandahar ever to be awarded a Fulbright Scholarship to study in the United States. Latifa has Masters Degrees in English as a 2nd Language from SUNY-Albany and Counseling from Ohio University. She recently retired after a distinguished 40 year career teaching in Kandahar, Long Island and New York City. Latifa is a tireless advocate for human rights, social justice and women’s equality. 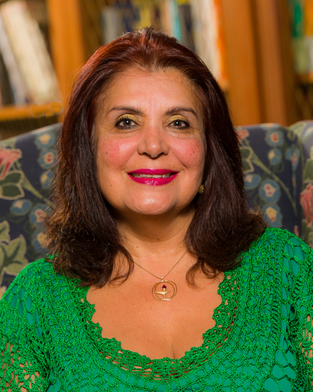 She was a founding member of Women for Afghan Women and currently serves on the Board of Trustees of The Unitarian Universalist Congregation at Shelter Rock, Manhasset, NY; The Initiative to Educate Afghan Women, Providence, RI, and WISE (Women’s Islamic Initiative in Spirituality and Equality) NY, New York. 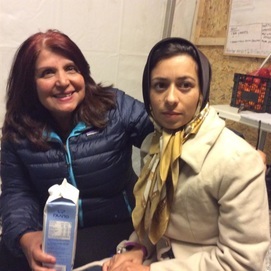 Latifa has dedicated her life to working for peaceful alternatives to oppression, discrimination and violence. She is a member of Peace Action on Long Island, The Interfaith Alliance of Long Island and a United Nations NGO, Ribbon International, which promotes the healing power of Peace as an antidote to violence. Latifa has volunteered for more than a decade as the NY Metro Coordinator for the Unitarian Universalist Service Committee which partners with grassroots organizations worldwide to foster social justice and a world free from oppression. She and her husband, Colin, sponsored 15 members of her family who were granted asylum in the US after the Russian Invasion of Afghanistan. ​Colin Woodhouse was born in Cheltenham, England and immigrated to the United States with his parents in 1952. Colin has Masters Degrees in International Economic Development and Public Administration. He served as a Peace Corps Volunteer in Afghanistan from 1973-76, where he taught at the University of Kabul. As a public official, he held positions as Ohio’s Manager of Foreign Direct Investment and New York City’s Deputy Commissioner for International Trade and Development. For the last 21 years, he has operated his own financial planning and investment management firm. Colin has been an active member of the Unitarian Universalist Congregation at Shelter Rock, Manhasset, NY and has served as a member of the Board of Trustees and has chaired the Congregation’s Investment Committee, the Stewardship Committee and the Vision/Mission Task Force. Colin founded the Socially Responsible Investment Committee which encourages a values-based strategies in investing the Congregation’s endowment. He organized and led a team of construction volunteers that built a house for an elderly woman in Mississippi after Hurricane Katrina. Colin and Latifa reside in Great Neck, NY where they have raised 5 children.